The prominent PokerStars-centric coalition of California card rooms and casinos immersed for years in a legislative battle over online poker in the state has lost one of its most important members, as the San Manuel Band of Mission Indians has departed the group. 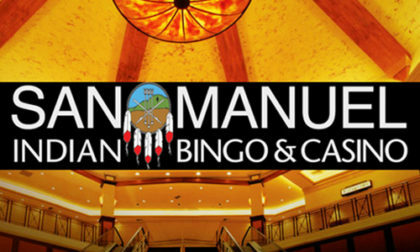 The tribe, which operates the San Manuel Indian Bingo & Casino near San Bernadino, east of Los Angeles, was one of the two tribal nations formally part of the coalition. The Morongo Band of Mission Indians remains part of the Stars-associated group at last report. 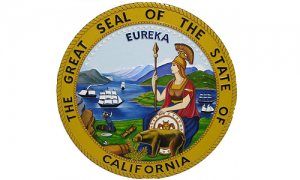 The PokerStars-centered coalition has battled against a hardline tribal coalition seeking a legislative ban against Stars’ future participation in any future California intrastate online poker market. News of the San Manuels’ exit from the group has not been formally announced, either by the tribe or by Stars’ California PR representatives, but was instead released in an e-mail partly published by OnlinePokerReport.com on Tuesday. Per the letter to OPR and according to San Manuel’s executive director of public affairs, Jacob Coin, “Because this effort has taken so long and required so much tribal effort and attention … San Manuel has decided to turn to other tribal issues at this time and has thus terminated its participation in the coalition.” The San Manuel tribe has been part of a nine-year battle to bring formally regulated online poker to the Golden State, though it was only in November of 2014 that it joined forces with PokerStars and the other coalition participants in the ongoing legislative battle. Most of the other principal players in the debate declined to offer an on-the-record comment. How the San Manuels’ departure from the Stars group affects the ongoing legislative stalemate isn’t clear, though it can’t be a plus for PokerStars’ California prospects. Despite years of ridiculously optimistic claims to the contrary, California was never going to be among the first handful of US states to legalize online poker and other forms of online gambling. The largest issue now, as it was a decade ago, is whether the states’ politically powerful tribal nations can coerce states into providing market exclusivity — which also raises legally untested sovereignty issues — amid the US’s “IGRA” tribal-gaming legal structure. IGRA, the Indian Gaming and Regulatory Act, predates the Internet and its language is not adequate to address online gambling’s legal and regulatory issues. No state with a truly powerful tribal-gaming industry was likely to be among the first states to legalize online gambling. That’s been a truism in California as well as any other such state, despite California’s liberal skew, massive state budget deficits, and the floating of online-pokr and online-gambling bills virtually every year since 2008. More recently, the ongoing stalemate between the Stars coalition and the hardline group led by the Pechanga and Agua Caliente tribes has offered only two realistic outcomes… assuming that online poker is eventually legalized in California. The pro-Stars side would have gained momentum had more US states legalized online poker in recent years, rather than just the three (Nevada, Delaware, New Jersey) that have done so. The pressure of lost online revenue would have worked in favor of the Stars coalition had California significantly lagged the legal US market. That didn’t happen. Instead, the obstructionist game played by the Pechanga coalition has meant much lost in time and expense for their opponents, which is reflected in San Manuel’s recent departure. This doesn’t mean the hardline side will win, but it increases their chances, meaning that recent events make a legislative barring of the PokerStars brand in California somewhat more likely. That in turn will likely lead to a lawsuit and the seeking of an injunction by Stars parent Amaya, should legislation barring the Stars brand for any period become law. The eventual reopening of the California and overall US online-poker markets are too important to Amaya’s long-term liability for the company to not exhaust all legal remedies. And that’s where California stands, still waiting. Recently, legislators such as former bill sponsor State Rep. Reginald Jones-Sawyer haven’t even introduced a bill in 2017, given all the other failures in recent years. Even if that does change, it’ll be a bumpy road to legalized online poker in California, and it’s still not likely to happen soon.